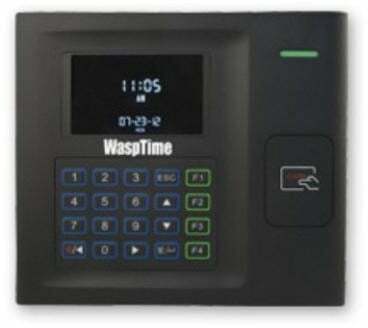 The WaspTime HID solution features time and attendance software paired with a HD300 HID time clock. Employees can quickly clock in and out by simply passing the HID badge near the time clock, even if the badge is in their wallet or purse. The HD300 time clock"s proximity reader accurately records the time of entry and exit. Data is downloaded from the clock to the administrator on a scheduled or periodic basis, automatically delivering accurate time and attendance records. The Wasp 633808551421 is also known as Wasp Bar Code	633808551421	.